Ever had a flat tyre and wished you could repair it on the go? The practical Kincrome 52 Piece Tyre Repair Kit is handy for storing in the vehicle for those trips away or unwanted road side emergency. Able to temporarily repair all types of tubeless tyres, the tyre repair kit is quick, simple and easy to use with repair time in around 15 minutes. The Tyre Repair Kit allows simple on vehicle repairs with no need to remove the wheel and can even be repaired on an incline. The Tyre Repair Kit is ideal for repairing vehicles including sedans, utes, vans, 4WD’s, caravans, motorbikes, trailers and many other vehicles. 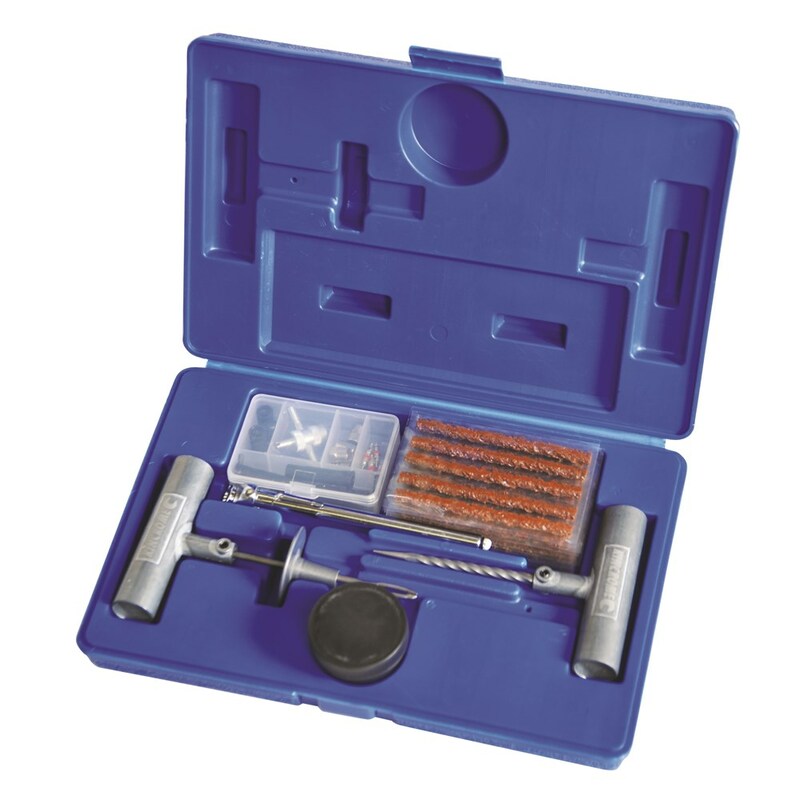 The Kincrome 52 Piece Tyre Repair Kit includes all the tools you need for repairing the tyre all housed in a convenient blow mould case.